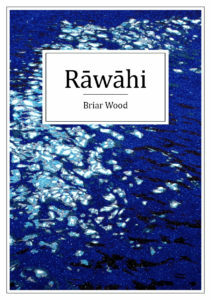 In Rāwāhi (meaning ‘overseas’), poet Briar Wood weaves lyrical seascapes revealing people and places inspired by her home in New Zealand, her travels and time living overseas. Rāwāhi journeys from Aoteaora New Zealand to London, Europe and back again. Briar Wood (Ngāpuhi) grew up in South Auckland. She lived and worked as a lecturer in Britain until 2012, where she published poetry, fiction and essays. She is now based in Northland, NZ. 978-0-473-40338-6, 148mm x 210mm, pb, b&w, 70pp.